The magnificent pipe Organ graces the back of the church. 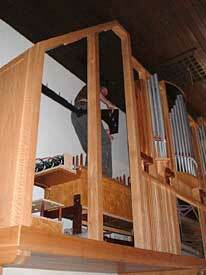 The five hundred and five pipe, Pipe Organ was built by Mr. Jan Pekelharing (below left, climbing up into the organ) and sons of Port Elizabeth and installed into our church in the beginning of September. 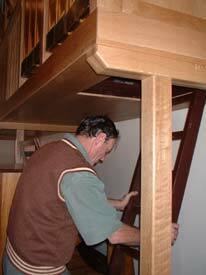 The installation work began on the 5th and was completed by the twelfth. The tuning (below right) of the 505 pipes of the organ is the last step. 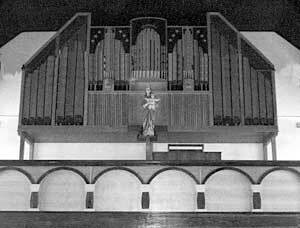 This beautiful organ which was the dream of Fr. Gerspacher, was finally made possible through the generosity of four benefactors. We are deeply thankful to these and pray that God may shower His graces upon them.